Illustration by Matt Groening. The Simpsons TM and Copyright 2007 Twentieth Century Fox Film Corporation. All Rights Reserved. On July 27, that sucking sound you’ll hear at your local multiplex will be Maggie Simpson’s pacifier in all its 5.1 surround sound and widescreen glory. Maggie, along with Homer, Bart, Marge, Lisa, Mr. Burns, Smithers, Flanders and dozens of other denizens of Springfield, are making their big-screen debut. 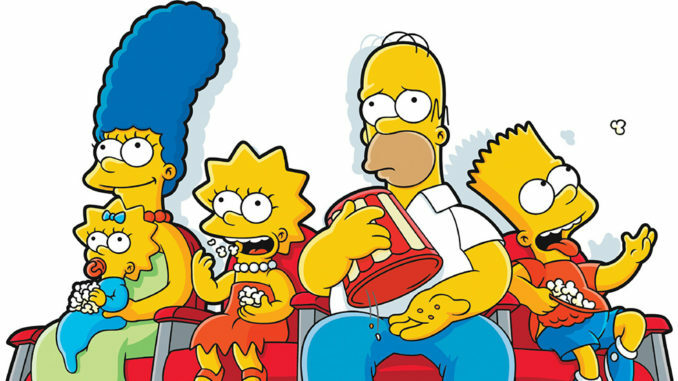 After 19 years and 400 episodes, the hit television series The Simpsons has finally spawned The Simpsons Movie, directed by David Silverman, released by 20th Century Fox and expected to be one of the biggest hits of the summer. But it certainly won’t be one of the loudest. The Simpsons’ mindset, with its built-in, slightly fanatical audience, is that dialogue writing and all that goes with it––gag timing, topical humor, and musical and sound effects––is king. 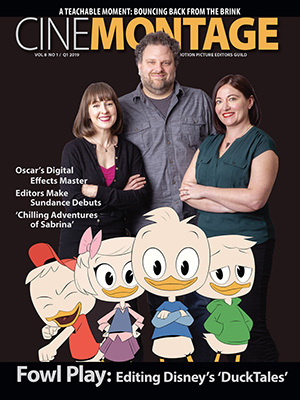 Even with a roster of A-list picture and sound editorial talent from some of the splashiest animated movies in history, as well as a Hans Zimmer score, The Simpsons Movie will not feel like most animated films of recent years, what with its 2-D production and (in comparison to most summer blockbusters) an almost minimalist soundscape. 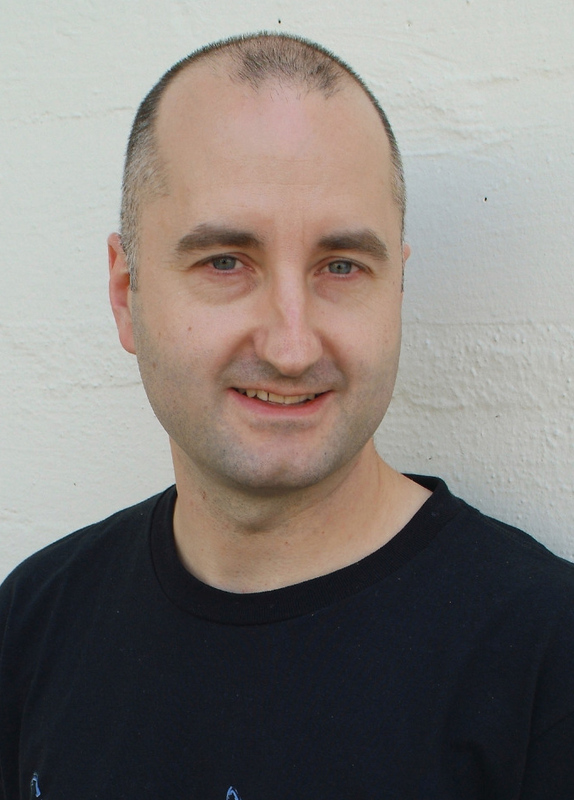 “I started on the first day they began production dialogue, which was recorded ensemble-style with up to four characters at once on the Fox ADR stage,” says John Carnochan, a veteran animation editor whose feature work includes Robots, Beauty and the Beast, Ice Age, The Little Mermaid and The Lion King. 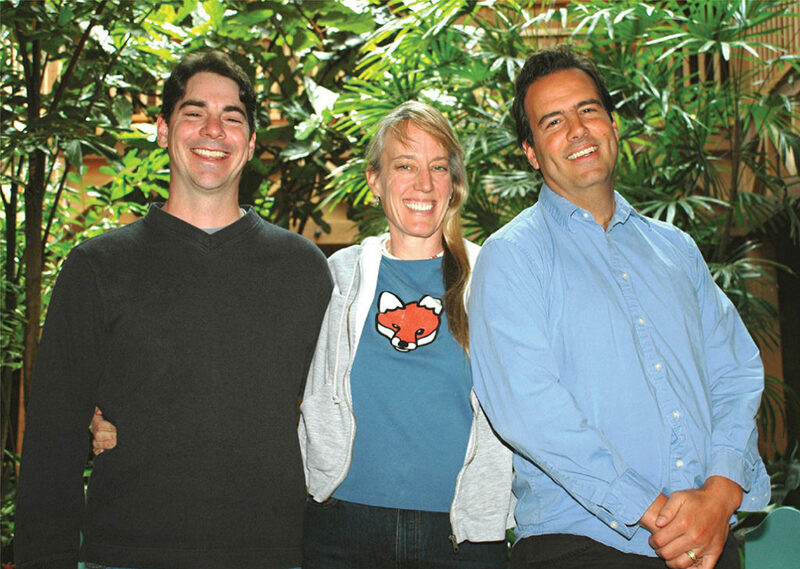 At Fox Studios in West LA, an entirely new animation studio was assembled at what has been humorously dubbed “Stacked Animation,” in tribute to Pamela Anderson’s Stacked TV series, which was formerly housed in the complex. The facility included seven Avid Adrenaline systems, apportioned mainly to Carnochan, additional editor Mark Scheib, first assistant editor Jennifer Dolce and assistants John Currin, Vivek Sharma and Elaine Andrianos. There were also five After Effects stations. Carnochan praised the 21 Wacom Cintiq systems (basically drawing tablets combined with monitors) that were installed in the studio. “You draw directly on the monitor and see your pencil strokes instantly where you draw them,” he says. “The artists export their drawings and the assistant editors import the files into the Avid for editing and further refinement if necessary. 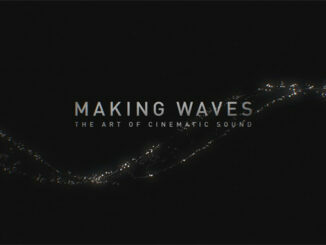 Some of the artists were specialists in either After Effects or Final Cut as well, allowing multi-planing effects. Dolce, whose animation experience includes An Extremely Goofy Movie and Space Jam, says, “Because The Simpsons Movie is so focused on dialogue, we used script-based editing in the Avid. For over 10 years, Avid has supported a script-based program where you can load a script into a traditional Avid project and line it the way a script supervisor would line it on the set; all this does is mimic that process. She adds that although she had never used it before, it didn’t take long to realize the benefits. Most contemporary animation directors want to emulate modern live-action films and make the sound more naturalistic. 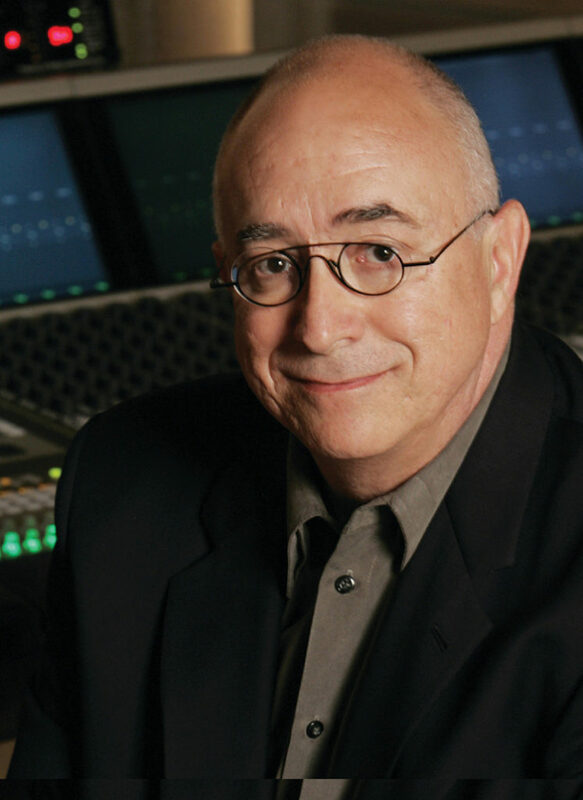 Whittle adds that ProTools was an extremely flexible tool during production––even in its traditional form of use. “We’d been on so many soundstages, and so many people were working on it, that the virtual mixing thing––where everything is fluid and live and nothing gets printed––just didn’t seem to make any sense. Because of all the variables, we were carrying around every temp mix with us, and it worked out great. 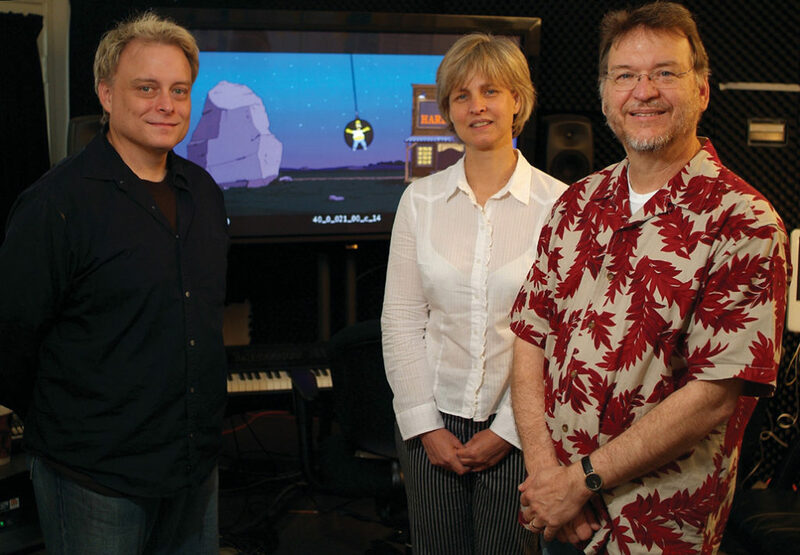 Skywalker’s Randy Thom came on board as co-sound designer to create the initial sound design for The Simpsons Movie. 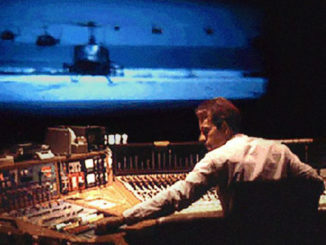 Thom, who has won Oscars for Sound Mixing (The Right Stuff) and Sound Editing (The Incredibles), worked on the film off and on since it was in storyboard stage. 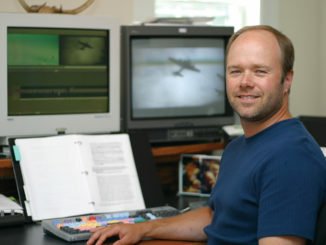 He takes no issue with the show’s reliance on dialogue: “On the one hand, we walk a fine line between wanting to make it extremely cinematic and take advantage of all the things you can’t do on TV; on the other, we don’t want to turn it into a sound effects extravaganza–– which it is not––and distract the audience from what’s funny about it. Ideally, it would have been great to have the recording done all in one session. But the reality is that Skywalker works on a fiber channel system, so only one person can have a volume in write mode at a time. “If all the editors had the entire film in one session––and each was writing to his own volume––it would get pretty confusing as to who had done what, and who had the most updated version of a scene,” Scarabosio explains. “Dialogue is the queen of this whole show,” explains Whittle. “The biggest challenge for all of us was to grow out of that TV sound and picture and to help support the music and dialogue with effects that fit the style and tradition that’s been set for almost 20 years––only translating it to the big screen.